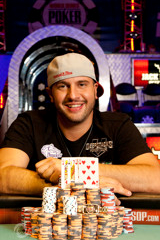 Michael “The Grinder” Mizrachi Wins $50,000 Players’ Championship For the Second Time! 31-year-old Michael Mizrachi has accomplished the impossible, winning the $50,000 Poker Player’s Championship event at the World Series of Poker for the second time in the span of three years! Read all about the Grinder’s incredible run en route to victory, and yet another seven-figure payday, in our latest article. 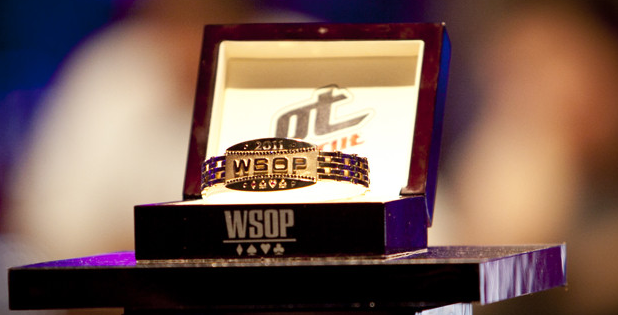 With the possible exception of his 1st WSOP bracelet, the famous 1989 Main Event victory of Johnny Chan, a bracelet win today at the $50,000 Player’ s Championship surely would’ve counted for Phil Hellmuth’s sweetest win ever. Made of white and yellow gold, diamonds, rubies, and sapphires, even the bracelet itself clearly stands out as unique. Unfortunately, Brian Rast has other plans for the Poker Brat. At a star-studded final table, Michael “The Grinder” Mizrachi emerged victorious to win his first ever World Series of Poker bracelet and over $1.5 million.